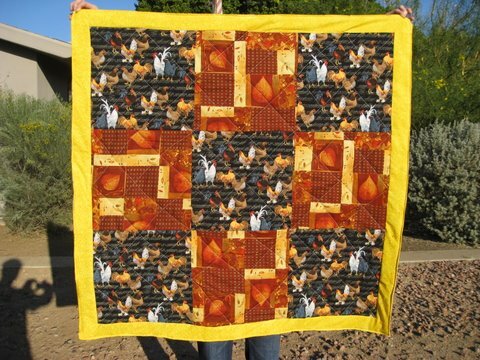 I made a quick fall quilt for my mom’s birthday using more chicken fabric. 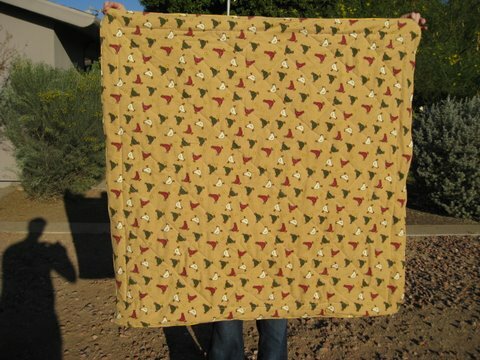 It’s 38″ x 38″, which is lap quilt size or good for the dogs on the couch. The whole thing took under five hours, and I got to listen to a Sharks game for a lot of it. 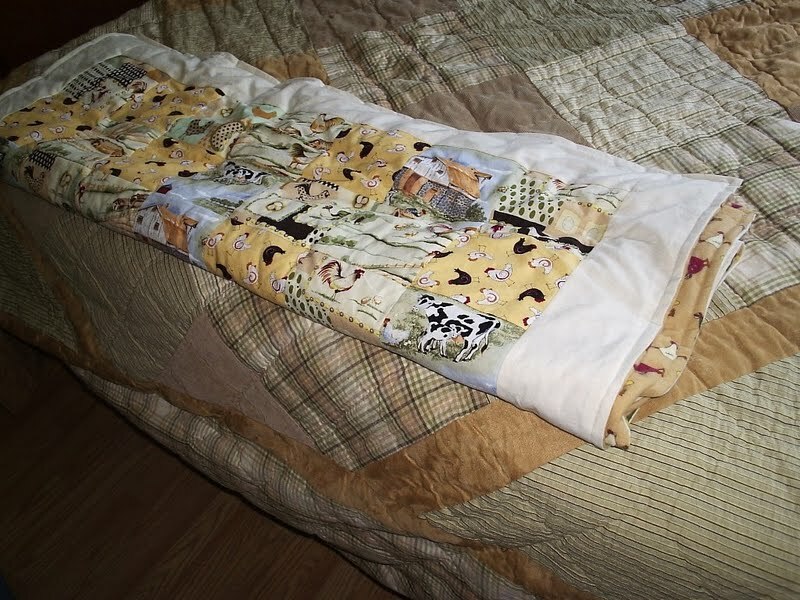 It’s the first time I’ve done not stitch-in-the-ditch quilting, which clearly can use some work if I’m going to attempt straight lines. November 29, 2009. 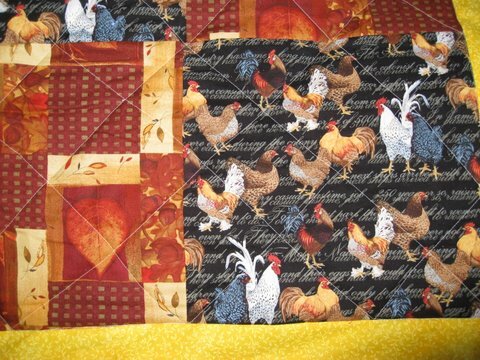 Tags: chickens, completed project, quilt. Pictures, Projects, Words. 4 comments. 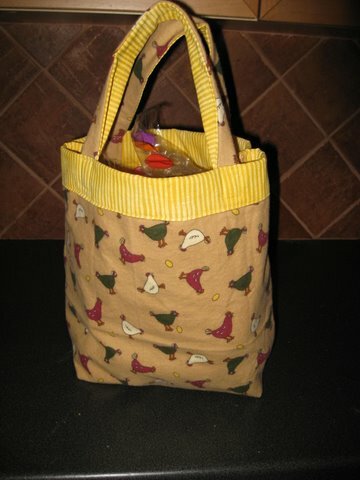 I made tote bag #3 using hideous leftover chicken flannel that was the backing for a quilt I made my mother using only fabric that had chickens on it. 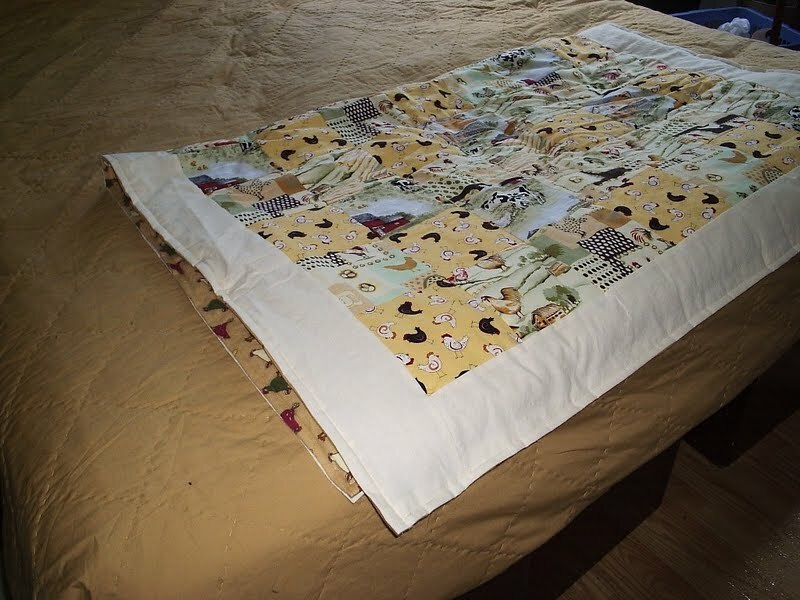 The inside is a yellow stripe from a fall apron swap last year. 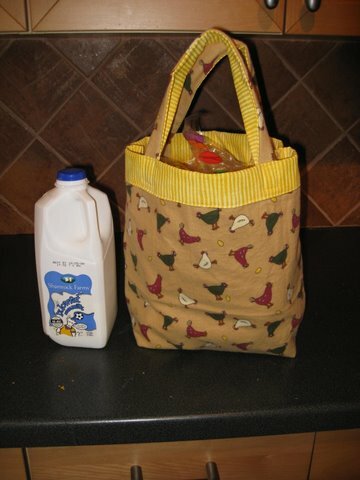 For perspective, I’m including a picture of it next to a half gallon of milk. Two of these next to each other would just fit inside. I filled the bag with random food from the fridge, it’s not stiff and wouldn’t stand up on its own. October 23, 2009. 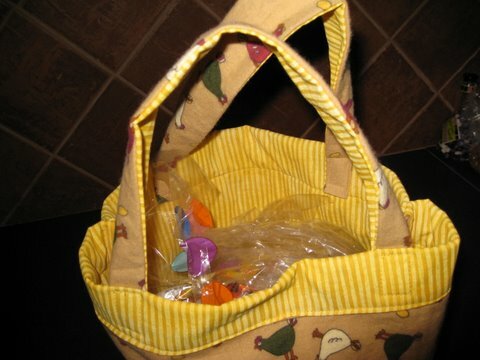 Tags: chickens, completed project, tote bag. Pictures, Projects, Words. Leave a comment.